Super low prep – no copies required! I played them in the order listed above, as they get progressively more difficult. María speaks really fast, but my kids could still catch Me gusta fútbol! I played it multiple times and had them also listen for her age and the days of the week she practices. Differentiation: I downloaded the files from Audio Lingua so I could save them in my dropbox and easily share with my department (and also still have them in case the internet went out). I used VLC media player to play them (a free download), and discovered that I could speed up and slow down the playback speed. So cool! 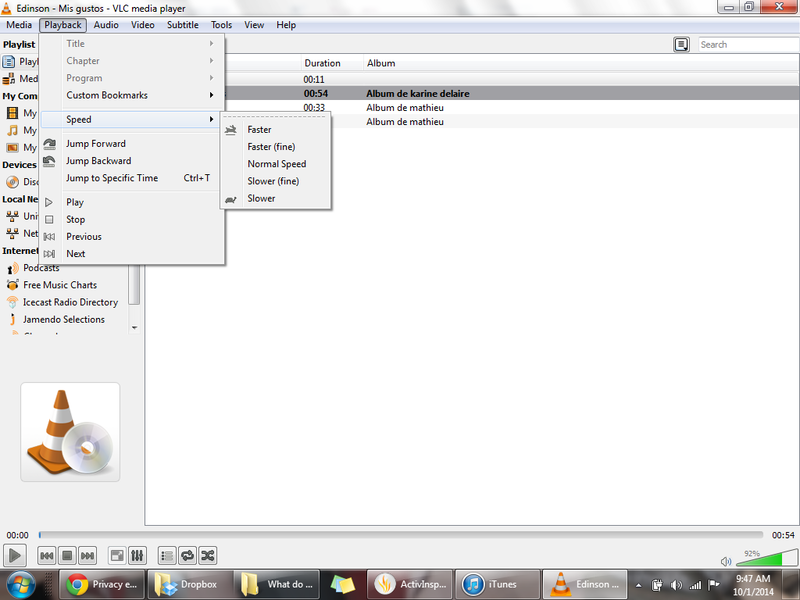 So I played it once or twice at regular speed, slowed it down once, then played it again at the normal speed. Neat! This entry was posted in Class Activities, Sp 1 Unit 3: What do you like to do? and tagged authentic audio, differentiation, listening activities, low prep, Unit 3 Likes & Dislikes. Bookmark the permalink. Seeing ActivInspire makes me nostalgic for my Promethean Board…sigh. Do you know of any way to share an audio recording on Google Classroom? I am not familiar with google classroom. I do post audio files on Schoology by uploading the file. If you can’t upload files of that size on google classroom, perhaps you could save it in drive and share the link.